There would be changes if you visit the EU, Iceland, Liechtenstein, Norway or Switzerland and the UK leaves the EU without a deal. It would mean that from 12 April 2019, the rules for passports, driving, EHICcards, pet travel and more would change. Check if you need to act now to make sure you can travel as planned. There would be no immediate changes to travel if the UK agrees a deal to leave the EU. The rules would be the same until at least 2020. This page will be updated when things change. To get the latest information, sign up to get email alerts. You can also get travel advice for the country you’re visiting, including local information about travel, laws and customs, and money. You may need to renew your British passport earlier if you’re travelling after 12 April and there’s no deal. If you do not renew it, you may not be able to travel to most EU countries and Iceland, Liechtenstein, Norway and Switzerland. You can use a tool to check whether your passport is valid for the country you’re visiting. It usually takes 3 weeks if you need to renew your passport. There’s a premium service if you need it sooner. These rules do not apply to travel to Ireland. You can continue to use your passport as long as it’s valid for the length of your stay. If there is a deal, there will be no changes to how you enter the EU or Iceland, Liechtenstein, Norway and Switzerland until at least 31 December 2020. You will continue to be able to travel or work without a visa during this time. If there’s no deal, you will not need a visa for short trips, according to European Commission proposals. You could stay for up to 90 days in any 180-day period. You may need a visa or permit to stay for longer, or to work or study. When the rules are confirmed, information about how to get a visa if you need one will be on each country’s travel advice page. Travel to Ireland will not change, even if there’s no deal. You’ll continue to be able to travel and work there in the same way as before. There will be other changes from 12 April 2019 if there’s no deal. Whether there’s a deal or not, you should always get appropriate travel insurance with healthcare cover before you go abroad. If there’s a deal, you’ll continue to get state-provided healthcare in the EU if you have a free European Health Insurance Card (EHIC) card. The scheme also covers Iceland, Liechtenstein, Norway and Switzerland. If there’s no deal, your EHIC card may not be valid. It’s particularly important you get travel insurance with the right cover if you have a pre-existing medical condition. This is because the EHIC scheme covers pre-existing conditions, while many travel insurance policies do not. You can read advice on buying travel insurance with the right cover. There may be changes from 12 April if there’s no deal. What these are depend on how you’re travelling. However you travel, check before you leave for any delays or disruption. If there’s a deal, you can continue to drive in the EU, Iceland, Liechtenstein, Norway and Switzerland in the same way as before. Bring your UK driving licence, and your V5C (log book) if you’re taking your vehicle from the UK. You’ll need some extra documents if there’s no deal. If you’re hiring a vehicle abroad, you’ll need an IDP – get this before you leave. You will not need an IDP to drive in Ireland. 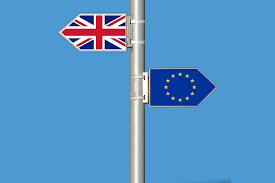 Follow the guidance on preparing to drive after Brexit for more information. This includes changes to which IDP you need to drive in other European countries. Bus and coach services to non-EU countries, for example Switzerland or Andorra, may not be able to run. The government is working to make sure these continue with minimal or no disruption. Check back for updates or contact the company you booked with if you’ve any questions. However you travel, check with the company you’re travelling with for any delays or disruption before you leave. Some travel insurance policies only cover certain types of disruption. Check your provider’s terms and conditions to make sure you have the cover you need if your travel is cancelled or delayed. Your consumer rights will not change, even if there’s no deal. This means that if your travel is cancelled or delayed you may be able to claim a refund or compensation. Check your booking’s terms and conditions to find out more. If there’s no deal, you will not be able to use the existing pet passport scheme. Instead you’ll need to follow a different process, which takes 4 months. Follow the guidance about pet travel to Europe after Brexit. If there’s no deal, the guarantee of free mobile phone roaming throughout the EU, Iceland, Liechtenstein and Norway will end. Check with your phone operator to find out about any roaming charges you might get after 12 April. A new law means that you’re protected from getting mobile data charges above £45 without you knowing. Once you reach £45, you need to opt in to spend more so that you can continue using the internet while you’re abroad. Your phone operator will tell how you can do this. You’re protected if you buy a package holiday and the company goes out of business. You get this cover even if it’s an EU company and there’s no deal, as long as the company targets UK customers. Otherwise, you can claim compensation if you used your credit card. You’ll continue to be able to claim for payments between £100 and £30,000. There are other changes that may apply when the UK leaves the EU. If there’s no deal, you’ll need to declare cash of £10,000 or more (or the equivalent in another currency) if you take it between the UK and any other country. As we are members of award winning The Global Travel Group who hold an ATOL licence number 3973, your holiday is fully protected. An Air Travel Organisers Licence (ATOL) protects you when you book a holiday with a UK travel company. It ensures that you don’t lose the money you paid out or become stranded abroad if your travel company collapses. It will also ensure you receive a refund of the monies paid. If an ATOL protected travel company ceases trading, the scheme protects customers who have booked holidays with the firm. It ensures that you don’t get stranded abroad or lose your money, so you can relax and look forward to your break with total peace of mind. We use a protected Client Account where your money is held until after your holiday. This means that your money is always kept safe and secure, no matter what happens. So, you can book with confidence. ATOL is backed by the UK Government. You book flights but do not receive your tickets immediately. This is most common with charter flights but can also apply to discounted scheduled flights. Please note that ATOL does not apply to holidays or flights booked direct with airlines.